1 posts categorized "Brazil, Rio de Janeiro"
I hope all my readers are well. I particularly hope that in the last week none of you have had any kidney problems, because if you did, your would have been up Corcovado without a nephrologist. I should know, because we have spent the last few days with thousands of them in Rio. It turns out that Rio has been the proud host of the 2007 World Congress of Nephrology. I'm sure nephrologists are nice people but they have been a pain in my side (geddit, side, kidney - fuggedaboutit). They have taken every room in every decent hotel in Rio. They also seemed to be at every tourist spot and every restaurant that we went to. They were easily identifiable with their polo shirts, shorts, trainers and white socks, whereas the locals favour tiny speedos, flip-flops and a six-pack. Those who have met me will appreciate just how well I fitted in. Despite the influx of kidney specialists we had a fantastic time. We were a bit flummoxed by the whole safety thing. On the one hand we kept hearing Rio was no more dangerous than any big city, on the other, everyone told us we'd probably be mugged and not to walk by the beach late at night. I was deeply confused by the mixed messages, especially as we didn't see any trouble and didn't experience anything ourselves - although that could have been because we were cocooned in a cab for most of the time. The one bit of trouble we did have was with a shifty taxi driver trying to charge the wrong fare. With her acerbic tongue, Silverbrowess swiftly put him in his place. The safety issue was put in stark relief when we visited a favela. 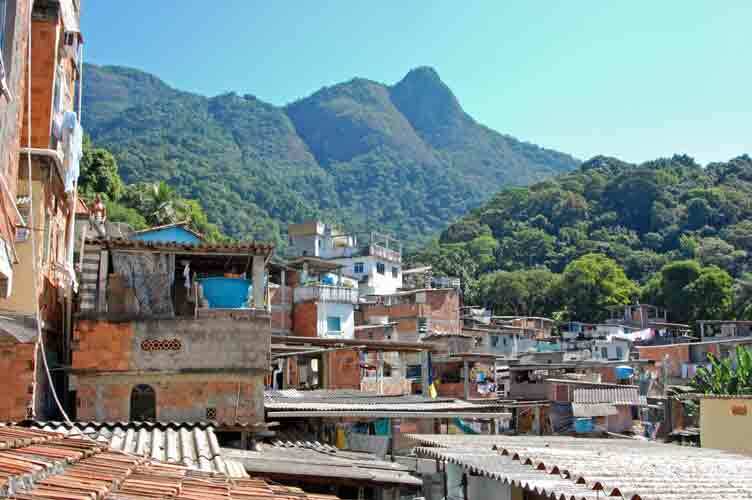 This was a truly astounding tour around Vila Canoas and Rocinha, two of the city's favelas. Both of us felt far safer there than we did in the city - although as our guide pointed out that could have been because all the dodgy geezers had gone to fleece everyone on Copacabana beach. On the tour we were privileged to meet a few of the locals and in particular, visit a project for kids called Para Ti. We saw a side of Rio that people think they know thanks to fear-mongering or film. Both of us felt far safer in Rio that night, having had some of the myth of the favelas burst. Don't get me wrong, these places are exceptionally dangerous, our guide regaled us with stories of gun-fights, but they are not lawless and the people aren't all monsters. We did the touristy stuff, went up Corcovada (home of Cristo Redentor) and Pão de Açucar (Sugarloaf Mountain) and were constantly wowed at the beauty of the city. The food was generally pretty mediocre, although we had a fun and decent lunch at Gula Gula, near the beach in Ipanema. I had a salad, Silverbrowess had some salmon teryiaki, it was fine, more enjoyable was watching the cariocas. We also had quite a pissed evening at Rio Scenarium. It reminded us of quite a hip TGI Fridays, with great music, decent cocktails and lots of deep fried food. The nephrologists in the house seemed to be enjoying themselves, which was nice. Finally, as you might be able to tell from the photo above, we got the sun we needed and are now turning a very British shade of ruby.